Penn State graduate student Emily Karosas was named the winner of the Music Teachers National Association's national Young Artist Competition, held in conjunction with the organization's annual conference in March 2015. 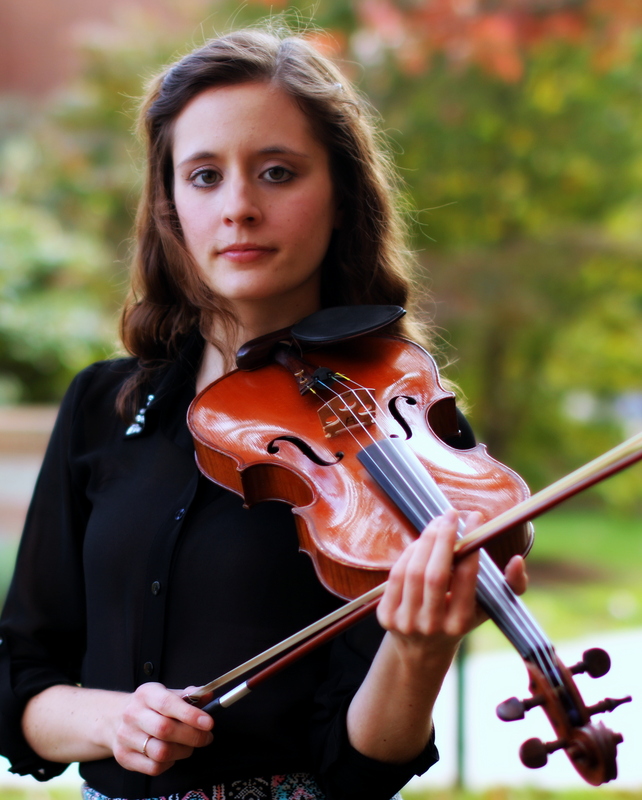 Emily is a violin student of James Lyon, and the recipient of a University Graduate Fellowship. From Bloomsburg, PA, she is the daughter of Ann Karosas. She spent the first three years of her undergraduate career at Temple University before transferring to Penn State to complete her Bachelor of Music degree. Her competition repertoire includes “Allegro moderato” from the Mozart violin sonata in B-flat Major, “Ciaccona” from Bach’s Partita in D Minor, a movement from the Samuel Barber violin concerto, and “Introduction and Tarantella, Op. 43” by Pablo de Sarasate. During her career at Penn State, Emily has participated in the Philharmonic Orchestra, Chamber Orchestra, Baroque Ensemble, and various string quartets. She has also taught string techniques and private lessons to non-majors. After graduation, she intends to continue her involvement with the State College Suzuki Program before applying to doctoral programs in 2016. Emily enjoys performing in a variety of styles including classical, pop, and fiddle. She has performed in concert with Boyz II Men and the Paragon Ragtime Orchestra, and can be heard on recordings by Japanese instrumental rock band Mono and Christian folk group Aaron and Ashley. Emily is currently an active member of the Williamsport Symphony Orchestra and the Pennsylvania Centre Orchestra, and she also performs yearly with the Music at Penn’s Woods Festival orchestra.